The United States is less than two months away from its mid-term elections and passions are growing more heated. In California, an anti-Trump person tried to stab a Republican congressional candidate, Rudy Peters, with a switchblade while yelling anti-Trump profanities. Fortunately, the candidate was unharmed. Meantime, the polls are shifting widely - indication that the electorate hasn’t settled on its choices. While a Rasmussen Poll shows the electorate evenly divided on its opinion of Trump, a Quinnipiac poll shows a 14% edge for Democrats in a generic congressional poll, while the Economist/YouGov poll shows only a 2% edge for Democrats. More telling is that independents, usually the deciding vote in elections, are in some polls favoring Republicans by 5%. Anyone saying how the election will turn out at this point in time is just guessing. However, we can look at the various races in general and see what is possible and the impact on American policy and politics. 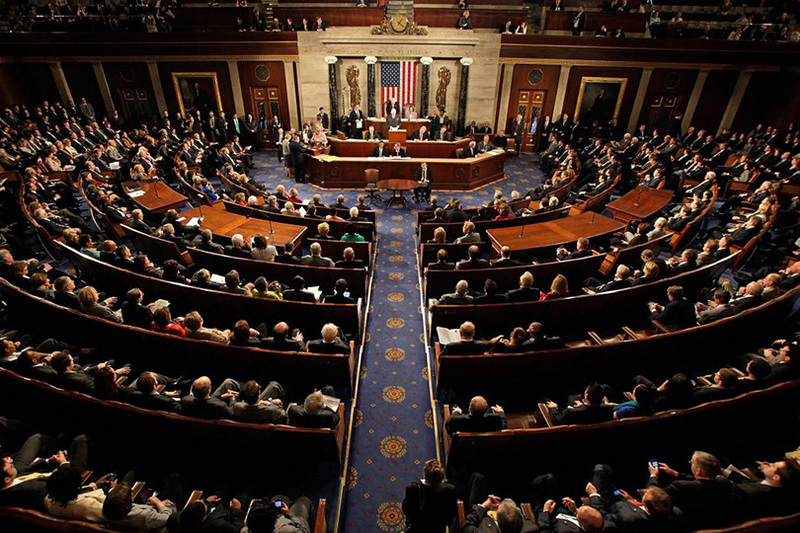 The US house is the most likely to show the changing mood of the electorate. All of its members (435) must run for reelection every two years. And, this was where the shift against Obama was first evident just two years after he became president. Much of the Democratic effort to win a majority of the House seats centers around California, a strong Democratic state with several Republican congressmen. Normally, this is a good place to pick up the necessary seats to win control of the house, but there appears to be some Democratic weakness. A Probolsky Research poll on September 6th shows the Democratic gubernatorial candidate Newsom with a narrow 5% lead over the Republican Cox. Prior to this, it was expected that the Democratic candidate would win by as much as 20%. This may force Democrats to move money into this race and away from Republican congressional races. It may also show a degree of Democratic weakness in a state that has reliably voted Democratic for decades. That poll may give Republicans some hope, but history is against them. Historically, mid-term elections offer voters a chance to register disapproval against the person in the White House. Consequently, the party of the incumbent president usually loses seats in the House. If the House turns Democratic, there are several aspects of American politics and governance that will change. The most significant is the passage of a Articles of Impeachment against Trump. Since impeachment by the House only requires a simple majority, Democratic House members desiring to impeach Trump will have a relatively easy time (although the outcome in the Senate trial remains in question). But, impeachment may not be necessarily that easy. In order to win a majority, House Democrats must win some seats that are traditionally Republican and who voted for Trump in 2016. Democratic congressmen who represent those districts may be loath to vote for impeachment and risk their own seats in the 2020 election. Even if the House decides not to press for impeachment, they will control House chairmanships, which mean that they can launch congressional investigations against Trump. While these may not lead to impeachment, they do represent a “death by a thousand cuts,” that could hurt Trump’s reelection chances in 2020. Since the House of Representatives has the Constitutional mandate to originate all revenue and tax legislation, a Democratic House will probably mean the end of Trump’s second round of tax cuts. It will also probably mean more spending, as the Democratic majority will have the opportunity to include their favorite projects in spending bills. Should the House remain in Republican hands, there will be little impact. Since Speaker of the House Ryan will not remain as speaker, it is possible that a more conservative Republican Speaker may take over and push for more tax cuts and legislation that President Trump wants. Senators are elected for 6 year terms and only 1/3 are up for election every 2 years. This gives the Republicans a very good chance to retain control of the Senate. 10 of the Democratic senate seats up for reelection are in states that voted for Trump, which means that there is a good chance that the Democrats will lose some seats in a Senate where the Republicans have a slight majority. The publication, Roll Call shows that 48 of the Republican seats are safe (50 are needed for the Republicans to retain control as Vice President Pence is the Senate President and is a Republican). The Democrats only have 39 safe seats. Of the five closest senate races, 3 are Democratic seats. Only two are Republican and the latest poll out on Sept 12, shows Republican McSally pulling away from Democrat Sinema in the last few days. Since Arizona is Republican, with all state elected officials being Republican that is probably indicative of the final outcome. Democrats need to gain only a net of two seats to take control of the Senate, and they have five plausible opportunities: Arizona, Nevada, Tennessee, Texas and (most debatably) the Mississippi special election, which involves a nonpartisan blanket primary on Nov. 6 with a potential runoff three weeks later. Meanwhile, Republicans have three very good opportunities to pick off Democratic incumbents — those are McCaskill in Missouri, Heitkamp in North Dakota and (surprisingly) Bill Nelson in Florida — and there are several other states where they’re still in the running, such as Indiana. But no one of those races is a sure thing for Republicans. Given the political landscape that the Democrats face in Senate elections, it’s likely that the Republicans will maintain a slight Senate majority, which may be the most critical for the Trump Administration. Constitutionally, the US Senate is tasked with confirming Trump’s appointment of cabinet members, ambassadors, and judges. Since the change in Senate rules made by the Democrats while they controlled the Senate, all confirmation needs is a simple majority. One of Trump’s biggest goals is the change of the American judiciary – a goal heartily subscribed to by liberal, conservative, and anti-Trump Republicans. Trump and the Republican led Senate have set a record pace in seating judges in the federal court system. Since court appointments are lifelong, that means conservative judges could make up a good proportion of the federal judiciary for decades to come. By keeping a Republican majority in the Senate, this change in the judiciary can continue to happen. Conversely, if the Democrats take the senate by holding 51 seats, they could stop Trump’s judicial nominations. Which brings us to the next question; what happens after the election? Usually the US Congress takes a long vacation after elections. However, that may not be true this time if the Democrats take control of either (or both) houses of Congress. If control changes hands, expect the houses to stay in session in order to get as much of the Republican agenda done before the Democrats take control in January. In fact, Senate Majority leader McConnell is already keeping the Senate in session longer in order to confirm as many of Trump’s judicial appointments as possible. If the Democrats win the Senate, that pace will continue until the last moment. On the other hand, if the Republicans maintain control, McConnell may give senators a longer Christmas vacation. Democratic control of the House will not mean much right after the election, but expect some Democratic fights for prime committee chairmanships – especially ones that can open up investigations on Trump in January. Then one can expect the Democrats to start talking about passing Articles of Impeachment. However, not all of the action will be on Capitol Hill. Trump will be making some changes, especially if the Democrats take control in January. Although Trump has criticized Attorney General Sessions over the last few months, he hasn’t asked for his resignation – probably because he doesn’t want to precipitate another political fight in the Senate. Once the elections are over and his changes no longer have political impact (at least in terms of votes), we can expect to see some resignations at the White House and maybe the Cabinet. If the Senate remains Republican, expect major changes in the Department of Justice. Trump may fire several senior DoJ officials and reorganize the chain of authority in order to give more power to those loyal to Trump. If the House goes Democratic and starts talking about impeachment, we can expect Trump to become more aggressive in order to rally his base, which is about half of the voters. He will also be more likely to take executive action like Obama because the legislative route has been closed. If the Democrats fail to win either the House or Senate, expect some purges in Democratic leadership. House Minority leader Nancy Pelosi will be criticized and could lose her position to a younger candidate. The Democratic National Committee will have to decide if the losses were due to moving too far to the left or not moving enough. Conversely winning or losing the elections will impact the Republican National Committee. The party is already in a fight over Trump’s influence in the party and the election will be used to argue about the direction of the party. If the GOP minimizes the losses, Trump will get the credit and the party will migrate towards the pro-Trump side. If the Party loses, the never-Trumpers will gain influence and may even try to pose a challenge to Trump in the presidential primaries in 2020. In the meantime, all we can do is wait. There is a saying in American politics that a week is an eternity in politics. That surely holds in 2018.